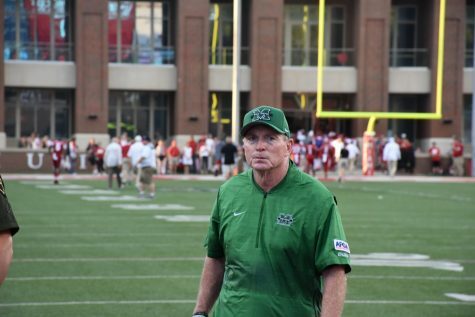 Marshall head coach Doc Holliday looks on during warmups before Marshall's game against Middle Tennessee on Oct. 5, 2018. 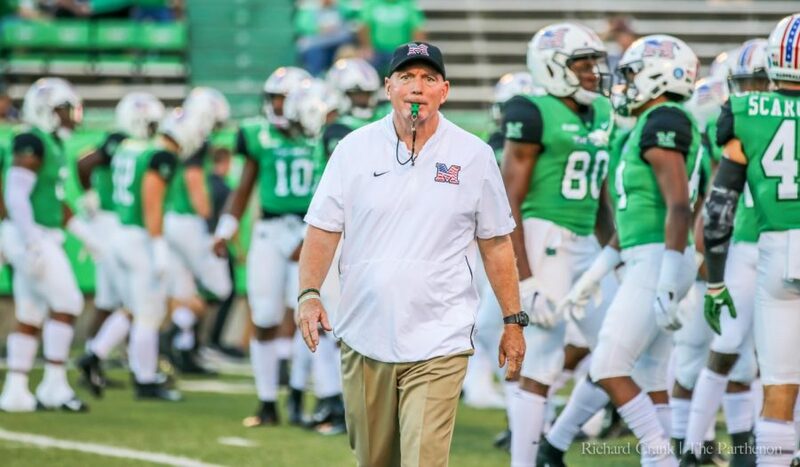 With 17 prospects already signed for the class of 2019, Marshall head coach Doc Holliday already has a head start on building his complete recruiting class for the upcoming year. 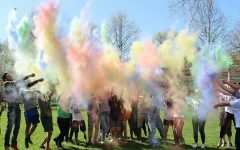 Below, The Parthenon’s sports editor, Kieran Intemann, will address each of the recruits already signed with the Thundering Herd, along with any additional signees as they are announced throughout the day. 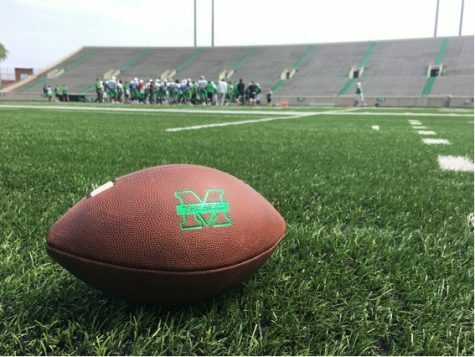 Marshall’s 17 recruits who signed in December include quarterbacks Maurice Underwood and Grant Wells, running back Cedric Wilcox, wide receivers Amir Richardson and Broc Thompson, tight end Zack Leininger, offensive linemen Josh Ball, Tristen Bittner and Juwan Truesdale, defensive lineman Elijah Alston, linebackers J’Coryan Anderson, Eli Neal, Deshawn Page, Sidney Porter and Jeremy Smith and defensive backs Micah Abraham and Rashawn Hunter. 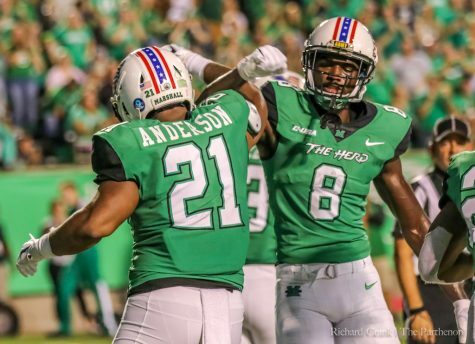 The Thundering Herd’s February haul includes running back Knowledge McDaniel and defensive linemen Esaias Carpenter, TJ Johnson and Dante Walker. Marshall also has 18 people who will join the program but will not count against the 25-player scholarship limit. These players could be walk-ons, non-qualifiers, grayshirts, blueshirts or another classification that doesn’t count against the scholarship limit. Anderson was a three-star recruit with a slew of offers. In addition to the Herd, Anderson had offers from C-USA programs Old Dominion, UAB, UTSA and WKU, Central Michigan and Kent State from the MAC, Appalachian State from the Sun Belt, Colorado State from the Mountain West and FCS Independent program Liberty. Anderson was also recruited by FCS schools Austin Peay, Chattanooga, EKU, Samford, The Citadel and Western Carolina. Anderson played both outside and middle linebacker at Fulton, along with spending time in the backfield as a running back. Last season, he had 60 tackles, a forced fumble, a pass breakup and a safety, along with 264 rushing yards and two touchdowns, helping lead Fulton to a 10-2 record. Anderson is one of two signees from Fulton and one of three linebackers from the state of Tennessee. Ball is a former four-star recruit who was re-graded as a three-star recruit after taking the JUCO route. He also comes with some baggage and red flags, as the former Florida State Seminole was involved in a domestic dispute that led to his suspension from the university, though no charges were ever filed. 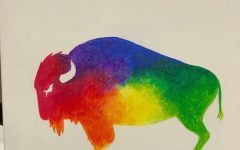 After spending the past year at Butler Community College, he opted not to return to FSU and instead signed with the Thundering Herd. Coming out of high school, Ball had offers from the likes of Auburn, LSU, Penn State, Virginia Tech and West Virginia, among numerous others. Leininger follows the Armani Levias style of a JUCO tight end joining the program. A three-star recruit out of Dodge City Community college, Leininger was a top-100 JUCO recruit and one of the higher-rated JUCO tight ends available. At the minimum, expect Leninger to potentially push for early playing time with Levias and Xavier Gaines. Smith was rated a three-star prospect and had offers from FBS mid-major programs Tulane and Coastal Carolina along with FCS school Mercer. Smith lined up at multiple positions in high school, spending time at both running back and wide receiver, though he will transition to the defensive side of the ball with the Thundering Herd. Smith was a multi-sport athlete at Jenkins, also competing in track during his high school tenure. Thompson is a fairly fluid runner, posting a 4.46 40-yard dash along with a 37.5-inch vertical. Before he played a postgrad year at Fork Union, Thompson was committed to Ball State out of Ben Davis High School. How much he sees the field in 2019 is an unknown, as there are multiple returners at receiver along with other signees at the position, though he has the athlete bloodline. His father played baseball, spending 10 years in the big leagues and winning a World Series with the Yankees. Wells is one of two quarterbacks signed during the December window and one of three in-state recruits inked during that period. A three-star recruit, Wells was one of Marshall’s first commits in this class, originally giving the Herd a verbal commitment in October 2017. Wells also had offers from Charlotte out of C-USA and Ivy League program Yale. Wells threw for more than 2,500 yards and 22 touchdowns while also accumulating nearly 600 yards and 12 touchdowns on the ground. Wells was also a two-sport athlete in high school, as he played baseball at George Washington. 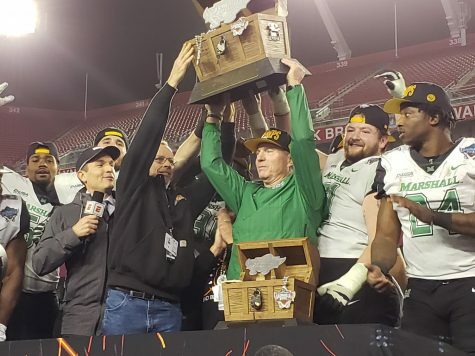 Abraham was a three-star prospect with offers from Boston College, Buffalo, UMass, South Dakota and Alabama A&M, along with USF, the team Marshall defeated in the Bad Boy Mowers Gasparilla Bowl. A two-sport athlete, Abraham also ran track at East Lake. 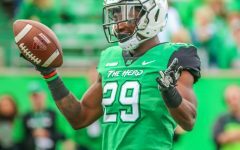 At Marshall, he will compete in a crowded defensive back room that returns most of its production from the 2018 season, including at all cornerback spots. Marshall needed at least one defensive line recruit in this class after losing Ryan Bee to graduation, and Alston is a guy that fit the Thundering Herd coaching staff’s profile for a swing player. At 6-3, 250, Alston played both defensive end and defensive tackle at Virginia high school powerhouse Oscar Smith, though he’ll likely have to bulk up if he’s going to switch inside. Hunter was a three-star recruit with offers from Iowa State and Virginia. While he’ll focus on being a safety at Marshall, he played all over the field at Mariner, including time at quarterback, where he was a dual-threat player, racking up 24 total touchdowns in the process. Hunter was a three-sport athlete in high school, also participating in basketball and track at Mariner. 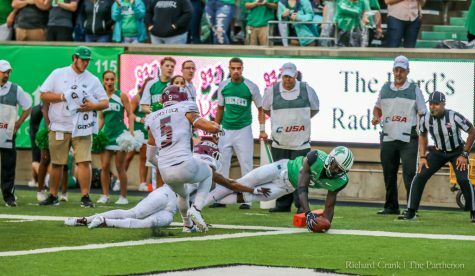 He’ll join a crowded defensive backfield at Marshall that lost just one player (Malik Gant to the NFL Draft), so a redshirt season could be in the works here. Neal had a slew of offers from FCS schools, along with an offer from Arkansas out of the SEC. He played both inside and outside linebacker at White Station and, similar to J’Coryan Anderson, also lined up at running back. As a senior, Neal recorded 95 tackles and two interceptions, while adding 750 rushing yards and 12 touchdowns. Neal is one of five linebackers signed during the December period and one of three linebackers the Herd signed from the state of Tennessee. The other half of Marshall’s linebacker duo from Fulton, Page is the more heralded of the two. Page had 76 tackles, including 12.5 for loss, three interceptions, a sack, a forced fumble and a blocked punt, along with 809 yards and 11 touchdowns on offense. The 2018 Tennessee 5A Mr. Football award recipient, Page was a three-star recruit who also had offers from Missouri, West Virginia, FIU, UAB, Middle Tennessee, WKU, UTSA, Kent State, Liberty, Toledo and Tulane, among others. He’ll join a crowded group and may play in the four games allowed under the new rules before redshirting but expect Page to be a solid contributor to the program during his tenure. Porter played a major role in helping Cardinal Gibbons win the Florida Class 5A state title last year, spending time at both safety positions. Porter will move up in the box to play linebacker at Marshall and will be an important piece down the line, as Marshall lost most of its top linebackers from 2018. A three-star recruit, Porter also had offers from Kansas, Appalachian State and Florida Atlantic, along with a few FCS schools. Richardson will have a chip on his shoulder when he begins play in Huntington, to say the least. A consensus three-star recruit, Richardson was committed to West Virginia until former Mountaineers head coach Dana Holgorsen pulled his scholarship offer in early December; he committed to the other D-I program in the Mountain State eight days later. Richardson also had offers from ACC programs Georgia Tech and Pitt, along with mid-major programs Air Force, Army, Cincinnati, Nevada and Temple, along with Ivy League programs Columbia, Dartmouth, Harvard and Yale. Richardson played both wide receiver and safety at University and was listed by most recruiting sites as an athlete, though he will at least begin his Marshall career as a wide receiver. Truesdale has the versatility that the Marshall staff has liked in the past, having played both tackle and guard at Myers Park. His one other offer came from local program Charlotte. Like many of the athletes on this list, Truesdale was also a two-sport athlete in high school, having played basketball at Myers Park as well. Truesdale joins a crowded offensive line group and a redshirt year might be in the cards for him to help bulk up so he can better be suited as a swing rotation player along the front. A thin, wiry quarterback wearing No. 12 from Miami Central High School… where does this sound familiar to the Marshall faithful? Underwood is a product of the same school that produced former Marshall standout Rakeem Cato and was a three-star recruit. His offer list included C-USA schools Florida Atlantic and Southern Miss, along with multiple FCS programs and recent Division II national champion Valdosta State. Underwood had 31 total touchdowns (22 passing, nine rushing) as a senior, leading Miami Central to a national top-25 ranking. Wilcox came on late in the season, putting together a career-best four-touchdown performance in a regional quarterfinal game. He was an unheralded recruit coming out of high school, with the rest of his offers coming from FCS programs. Wilcox joins a crowded backfield, as both Tyler King and Brenden Knox return to form a 1-2 punch, along with Sheldon Evans returning and Jalynn Sykes becoming eligible. Wilcox could be a potential candidate to redshirt in 2019. A teammate of Josh Ball at Butler Community College this past season, Carpeter is a larger defensive lineman, breaking the previous mold of Holliday’s d-line fits. Carpenter may add 10-20 pounds to stick as an interior lineman full-time, though he also has a potential redshirt year to use. 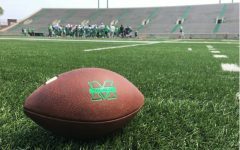 Johnson was a mystery signee for Marshall, but he’s already on campus and will participate in spring drills. Similar to Josh Ball, Johnson carries some red flags and baggage, having previously been linked to an alleged sexual assault case while at Minnesota, though no charges were ever filed against him. Doc Holliday continues to add to his defensive line haul, though Johnson looks to be sticking at defensive end based on the other recruits in this class. If Holliday and his staff want Johnson, who played at Minnesota before transferring to JUCO, to move inside, he’s going to have to add at least 30 pounds of muscle. McDaniel had an interesting senior year, to say the least. He was barred from participating in the playoff due to a circumstance the FHSAA ruled as “improper benefits,” which helped the Herd land him. Before that, his offer list consisted of the likes of Ohio State, Georgia, Nebraska, Tennessee, Ole Miss, Syracuse and South Carolina, among others. McDaniel was an all-area performer in 2017 and while he joins a crowded backfield, he’s likely to ascend the depth chart and see significant playing time during his Herd career, as his upside is massive. Walker is the highest-rated recruit in this class and is a top-500 player overall in the class of 2019. Walker was previously committed to Arkansas until position coaching changes led the Cedar Grove product to de-commit. After taking a visit to Huntington, Walker gave Holliday a verbal commitment and canceled his scheduled official visit to Maryland. The depth along the defensive lineman is deep, but Walker will contribute within the next two years, similar to Darius Hodge and Koby Cumberlander. Aside from Arkansas, Walker had offers from Alabama, Georgia, Mississippi State, South Carolina, Tennessee, Maryland and North Carolina, along with interest from Florida State and Georgia Tech. These signees were not officially publicized by Marshall due to varying circumstances. 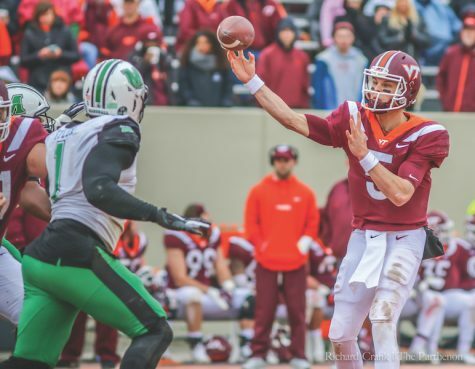 The following players may be walk-ons, non-qualifiers, blueshirts, grayshirts or fall into another classification, but will not count against Marshall’s 25-scholarship limit for the 2019 class. Barber has the talent to be a solid defensive back in this conference, as his size and build are similar to many of Marshall’s defensive backs when they entered the program. Barber spent this past season at Hough, helping lead the Huskies to the state quarterfinals after becoming an all-state pick at in South Carolina while he was at Nation Ford (Fort Mill). Another local product coming into the program, Bartram joins the Herd as a walk-on from nearby Wayne. He’ll have to bulk up a bit to play linebacker at the Division I level but could see the field on special teams if he doesn’t redshirt this season. Doc Holliday brought numerous linebackers into this class, so seeing the field is going to be a difficult task for Bartram, but he has some upside. Coffman committed to Marshall following a late visit last week and projects as an interior defensive lineman once he adds some weight, which shouldn’t be much of an issue as he transitions into a college weight program. Coffman is another fairly local player who will add depth to the defensive line and, though he is a prime candidate to be a redshirt or a “prop” player next season, should be able to make an impact down the line. Coston has good size for a defensive back at 6-foot-1, though he’ll likely have to bulk up from his listed weight of 170 pounds in order to be successful at the collegiate level. Coston is a raw athlete, having only played one full varsity season, but the size is there for him to potentially carve out a productive career. Darisaw adds to Marshall’s impressive defensive line haul for the Thundering Herd and his size a t 6-foot-4 is definitely a plus. He’ll almost certainly have to put on weight if he’s going to play at either position along the line; otherwise he will become a linebacker with size. Darisaw was also recruited by fellow C-USA school Southern Miss. 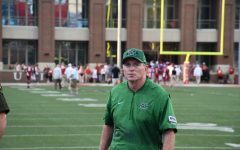 After losing both Chase Hancock and Frankie Hernandez to graduation, along with others leaving the program, Marshall had to add linebackers in this recruiting class. Doleman has decent size for a linebacker, though an additional 10 pounds wouldn’t hurt as well. 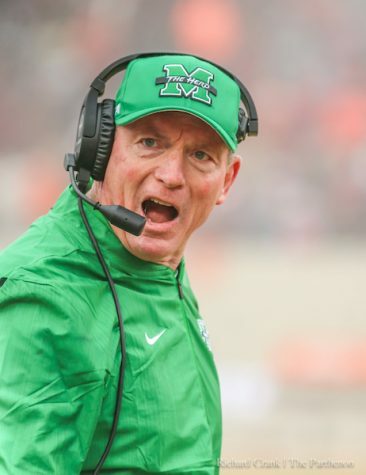 Marshall signed five scholarship linebackers who will count against the 25-scholarship limit, so Doleman will have an uphill climb, but he has the potential to stick at Marshall. Dukes adds to the linebacker haul and will join the program as a preferred walk-on. The Georgia product has size similar to Doleman, but joins a crowded linebacker group along with everyone else in this class. With his size, is there a chance he moves into the secondary as a box safety? Only time will tell, but it’s good to see Marshall hitting the Peach State hard in recruiting again. Faison has good size for a running back at 6-foot, 200 pounds and had a solid year at the Salisbury School. The former Pottsgrove High School product joins a crowded backfield, but eligibility could potentially be an issue, as he was committed to Stony Brook as part of the 2018 class before having to take a postgrad year. 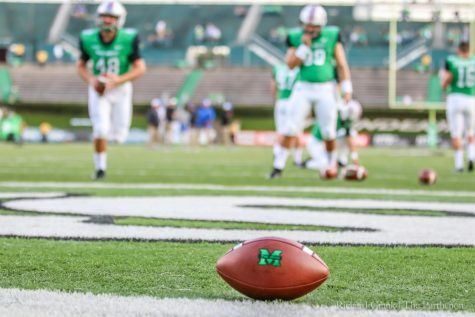 The last time Marshall recruited a Hillsdale defensive lineman, it turned out pretty well for the Thundering Herd, as Ryan Bee transformed from unheralded recruit to all-conference performer. Garn led Hillsdale to the region semifinals and led his team in sacks en route to all-region honors. If he’s going to play along the line, he’ll definitely need to bulk up quite a bit, but Garn is a high-motor player with plenty of raw potential to be successful, similar to Bee. 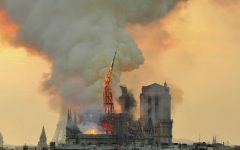 Gilbert has a big frame that has not fully been filled at this point. With his current size, he’d better be suited at other positions along the defense and will have to add at least 25-30 pounds at a minimum to contribute along the defensive line, though the potential is there. Gilbert was an all-conference player his senior year at West Charlotte, playing in a difficult 4A region that included Mallard Creek and Vance, the latter of which was runner-up in the state finals. A redshirt year to bulk up is likely in the works for Gilbert. Hahn is a smaller wide receiver, though 170 pounds is a bit light an he’ll have to gain an additional 10-15 pounds to hold up during the course of a full season. Hahn has the potential to fill a role similar to what Nick Mathews did during his time in Huntington, as both he and Hahn have similar builds and both were unheralded out of high school. Marshall continues to raid the Bluegrass state for offensive line help, as Hunter joins the fray as a preferred walk-on. At 290 pounds, Hunter has good size, though at 6-foot-3 he might be better suited inside at either guard or center. Marshall’s offensive line has tons of depth, so Hunter will also have a tough time finding opportunities on the field. Osburn is another in-state product to join the Thundering Herd as a PWO and will provide more interior size, as his frame is better suited as a guard than tackle due to his height at 6-foot-3. Osburn may want to add some weight to his frame to suit the position better and, like Bradyn Hunter, will stuggle to see the field early due to depth on the offensive line. Pauling is a bit undersized as a defensive back, but could fit the mold of a nickel cornerback based on his attributes and height. 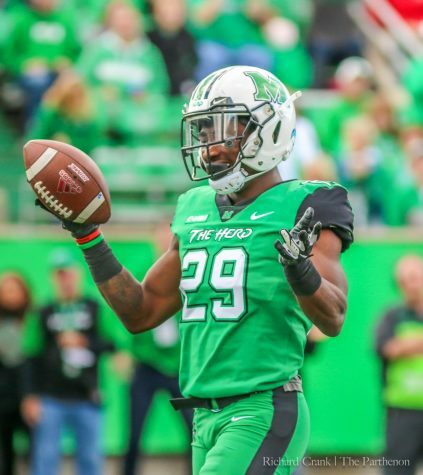 Marshall returns most of its secondary from last season and added a pair of scholarship defensive backs in Abraham and Hunter, but the opportunity is there for Pauling to compete and earn playing time. Seals was another recruit that the Thundering Herd picked up late in the process, earning his commitment over offers from Baylor, Maryland, Syracuse, East Carolina and UAB, along with interest from South Carolina and Tennessee. A teammate of fellow Marshall commit Dante Walker in high school, Seals is tall for a defensive end at 6-foot-6 and should be able to use his height to his advantage. The fact that he doesn’t count towards the 25-scholarship limit raises questions about eligibility for next season (grayshirt, possibly? ), but Seals’ ability to get to the quarterback should provide him plenty of opportunities to see the field during his time at Marshall. Tolbert immediately becomes the tallest receiver on the team, though at 170 pounds he’s going to have to bulk up some to compete with some of the physical defensive backs in C-USA. Tolbert was a three-star recruit, so the fact that he doesn’t count against the 25-player scholarship limit causes some concern about potential eligibility for next year. Marshall has recruited more in-state talent this year than in years past, and Wilcoxon is no exception. The Huntington native played all over the field and comes to Marshall as a preferred walk-on. 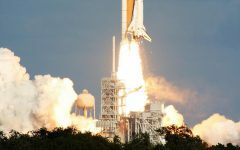 His initial first step appears to be strong and he gets through the holes in the line rather well, though that could be due to the level of competition. Wilcoxon faces an uphill climb with a crowded backfield, but he could become a decent contributor for the Thundering Herd down the line. 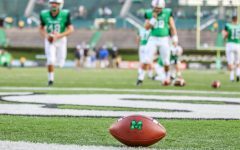 Marshall’s going to need a new long snapper soon, as current long snapper Matt Beardall has one year of eligibility left. Williams is noted as a strong long snapper and could be a good haul down the line for Doc Holliday’s staff. 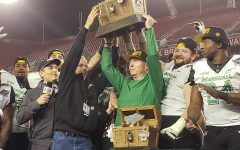 Head coach Doc Holliday’s staff finished as the consensus No. 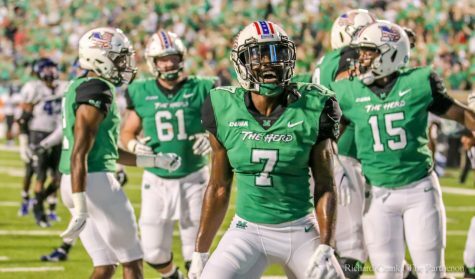 2 class in Conference USA, ranking behind Florida Atlantic on both Rivals.com and 247Sports.com, while North Texas ranked ahead of the Thundering Herd in ESPN’s rankings.